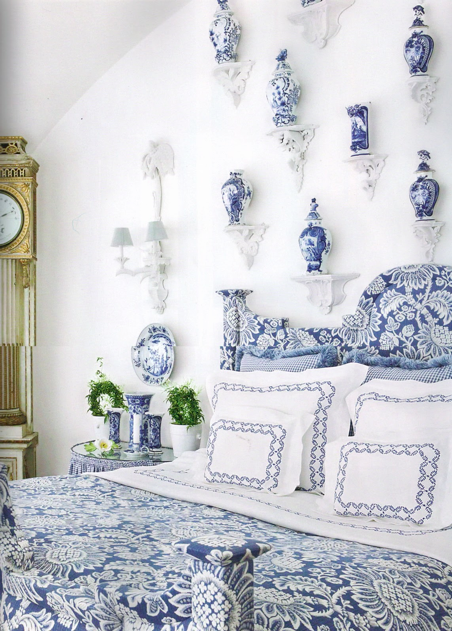 I love blue and white interiors. This may come as a surprise as I generally lean towards a slightly more modern glam aesthetic, but these images pull at my heart strings. 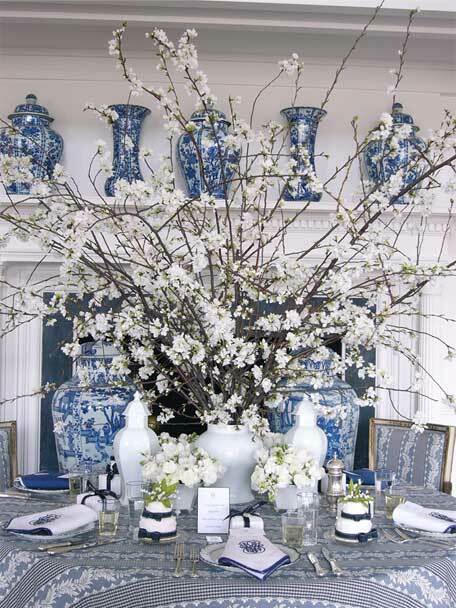 One of my favorite taste makers, Carolyne Roehm, has an entire book dedicated to this color duo. 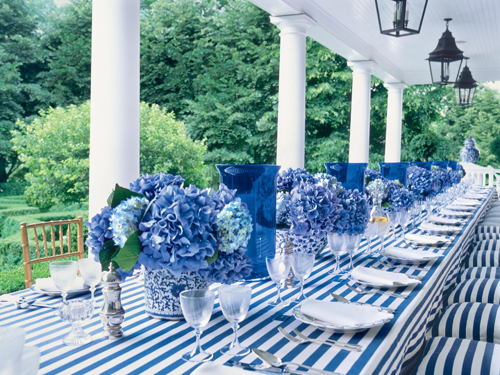 Blue and white interiors are so classic, so fresh, and if done right, can be timeless. 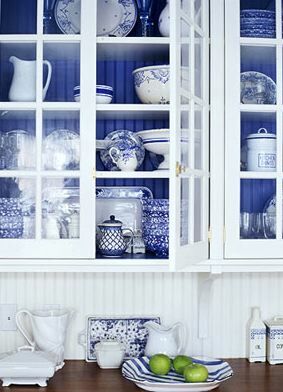 What do you think about blue and white interiors? Love all my coworkers in that pic! Absolutely love them! 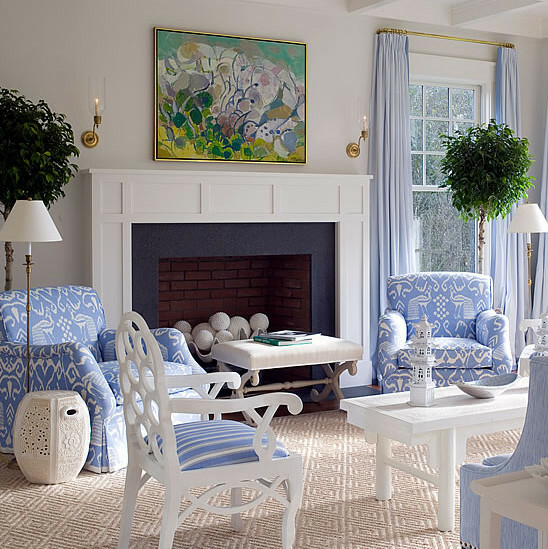 That Jk Capri living room is been in my favorites for ever! 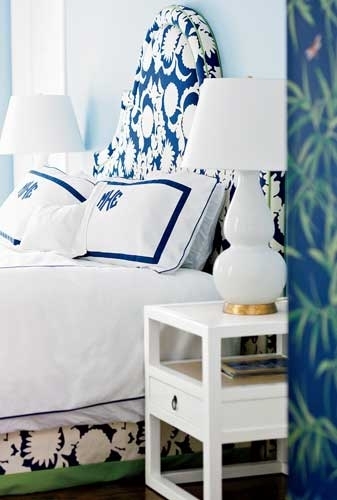 i wish our interiors are white and blue too! 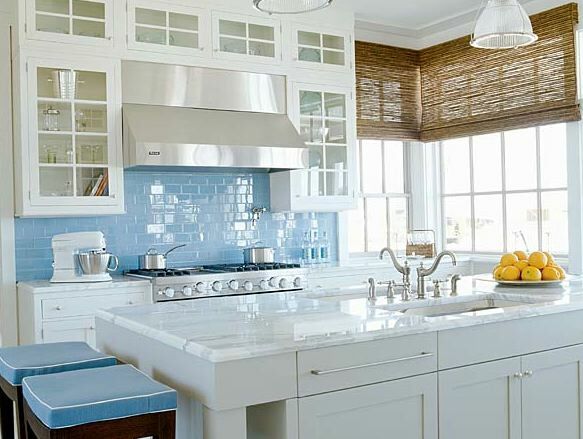 We are such fans of blue and white and the living room with the seagrass rug and the kitchen with the blue tile are definitely a part of our imaginary beach house...gorgeous images!! 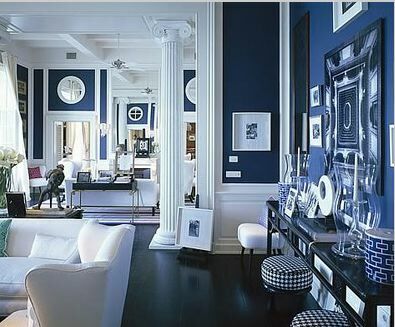 How I can I find out the color of blue paint on the walls in the pic with door floors and white trim?? Thank you! !